Hi Charlie fans, its been a while since I last posted, but I thought I'd check in with an update about our teeny-little-super-guy. Charlie is just starting his last semester of preschool. 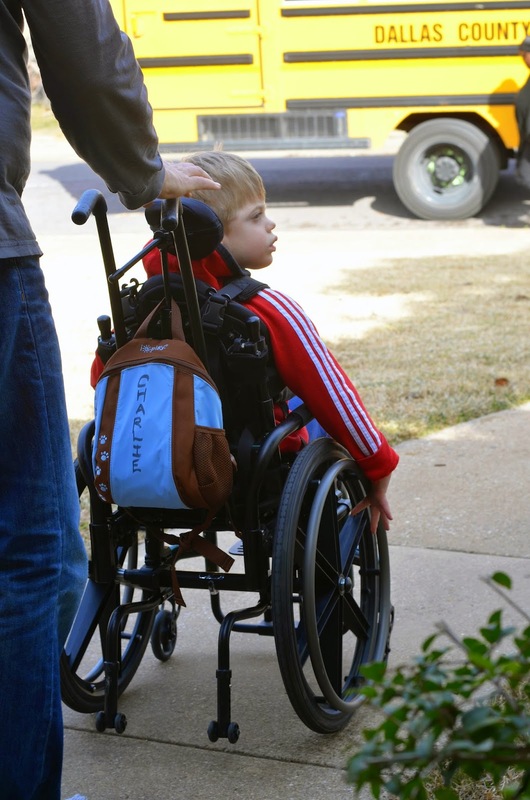 He loves riding the bus, seeing his friends, working with his therapists and playing games with his teacher. He still adores music and all manner of books. The biggest growth for Charlie this fall and winter has been in the verbal category. He is attempting any and all words. His mimicry is getting a lot more accurate and we can tell that parts of his throat and tongue are loosening up. When Charlie first arrived, his brain MRIs showed extensive damage to his language center and our doctors gave us grim forecasts as to his future ability to comprehend language and make words. But in the past few months, Charlie has shown us all that he is ready to talk talk talk. Besides, he has to keep up with his chatty brother. In December, Charlie had two seizures, which were both small and contained. 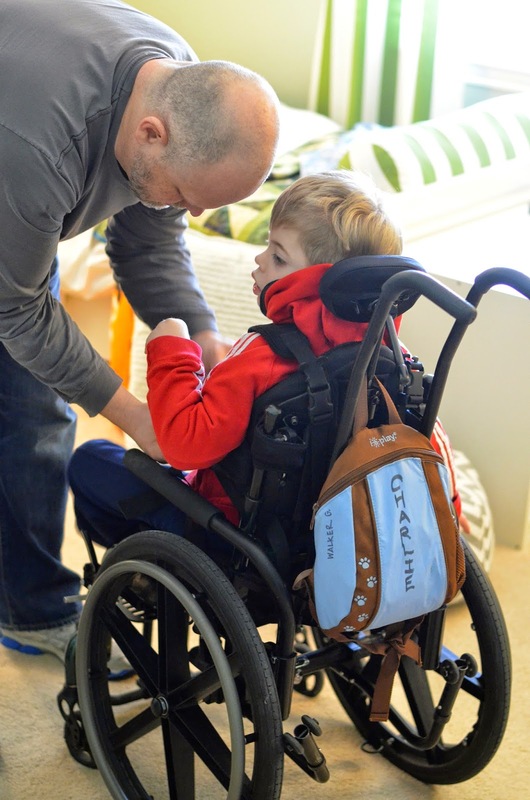 A recent visit with our neurologist helped us to understand that as Charlie's brain changes and adapts, especially when he's in the throes of rapid skill acquisition, seizures are normal. Still, we're going to have another MRI in the spring to take a look at Charlie's brain again. We're mostly interested in seeing how the scar tissue from the stroke site has changed as his brain has grown. As always, thank you so much for all of your support and love. We couldn't do it without you! We have some exciting developments in the coming months; we'll be welcoming a therapy dog into our home and we'll also be buying a used wheelchair accessible van for Charlie! So we'll keep you updated as we know more!